(score) Canzon a 5,Gabrielli. Much of Gabrielli's instrumental music lends itself very well to combinations of brass instruments. IMSLP's list of much Gabrielli repertoire. KEVIN HOCKING - a wonderful composer/arranger. This site shows just some of his talents. DAVID STANHOPE's home page. He is a conductor, composer, pianist, french horn player AND bass-trombonist! GORDON KERRY is a composer who writes very well for woodwind - site includes an audio of Kerry's Clarinet Concerto, played by the Sydney Symph's Frank Celata. ANDY FIRTH - clarinet/sax virtuoso who creates very professional arrangements for his big band. Extensive biography of Alfred Newman, who composed music for films only (250 of them! ), but also worked as an arranger and conductor. Brief UK list of biogs of some contemporary British composers/arrangers. Alex Heffes, composer/arranger who knows how to score for any music, from electronic to symphony orchestra. He has created powerful music for TV and film. Dru Masters. One of many British composers/arrangers who create beautiful soundscapes for documentaries for TV. Noel Wedder's excellent site for info on Stan Kenton, his music and musicians. 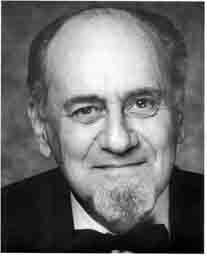 Wiki info on Bill Russo, who produced many jazz compositions and arrangements, particularly for the Stan Kenton orchestra. You would need to be totally deaf not to hear music throughout our environment these days. So much so, it is sometimes difficult to avoid. The downside of that is we tend to become desensitised to the more subtle aspects of music by over-exposure to music that is too loud or too superficial. However, the upside of this exposure is increased opportunity to hear the results of the work of great music creators. Whether listening to radio stations featuring music, going to concerts or listening to/watching TV or movies, the work of many brilliant composers, arrangers, orchestrators and jazz improvisers - the creative heart of music perfomance - it's all there to be listened to, savoured, appreciated and wondered at. The list of links on the left contains pointers to info on just a small selection of those creative people who make life so much richer for the rest of us. The IMSLP listings provide a wealth of resources, in either manuscript or recorded form, of composers over the centuries of Western music. I have made a point of including links to the baroque period because so much of this lends itself to transcription for modern brass instruments, and is also worth studying as an illustration of the beginnings of instrumental music and orchestration. The IMSLP site is a real treasure trove of printed and recorded music (mainly of 'classical' composers) which is out of copyright. A great example of those creative musicians who are/were performers, composers, arrangers and orchestrators all rolled into one was Tommy Tycho - a Hungarian-born musician who came to Australia in 1951, having been a pianist child prodigy. During his life in Australia, he worked with virtually all the 'big names' in Australian light music - writing beautiful accompaniments for large orchestras (which he conducted) to show the stars in their best light. He always won the respect of the musicians he worked with for the quality of his orchestrations and the respect he always showed to his colleagues. Tommy died in 2013 - a great loss for Australian music. Kevin Hocking is a Melbourne-based pianist/conductor/arranger/composer who not only writes brilliantly for instruments, but also creates beautiful scores using voices, - either solo or in vocal groupings. He has re-orchestrated some of the G&S repertoire enabling performances using a much smaller orchestra than the original scoring. In the days when radio and tv stations had their own in-house orchestras (Yes, Virginia, there was such a time! ), there were many opportunities for composer/arrangers to perform their art. Graeme Lyall, Tommy Tycho, Julian Lee, Brian May and Kevin Hocking were prominent names of those days in Australia. Slowly, however, the musical scene has changed, and fewer and fewer resources are lavished on quality in-house-produced music. Most of the 'serious' music composition at the moment is for the concert hall, or film and tv soundtracks. This has seen the rise of composers such as Nigel Westlake, who is a composer highly regarded across many genres of music. THE JUKEBOX - "Means Nothing"